Closing costs are fees charged by the lender at the closing of a real estate transaction. Closing costs typically add up to thousands of dollars. 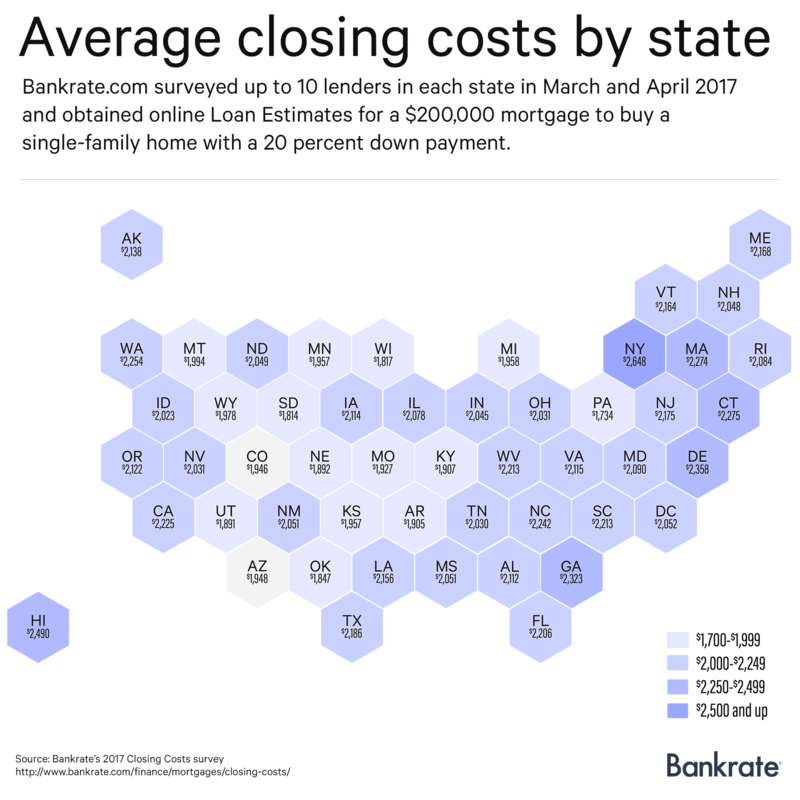 The good news is that, each year, Bankrate conducts a survey of closing costs in all the states. See what the average fees are for your state.